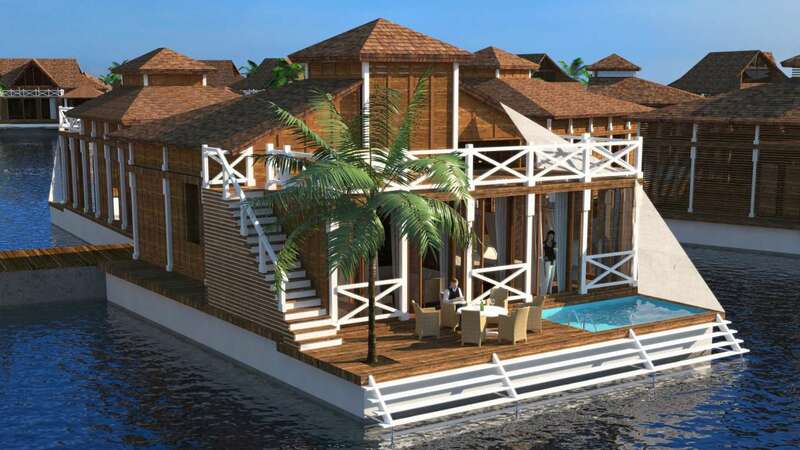 An unprecedented offer to own a luxury waterfront villa with excellent investment revenues in the Maldives. Just a 15-minute boat transfer away from Malé International Airport, your privately owned luxury villa awaits you in its turquoise lagoon with pristine beaches and untouched coral. The 5-star service welcomes you back to your property that has been rented out and looked after by a world-class hotel operator between your visits. All is ready for an instant holiday kick off. 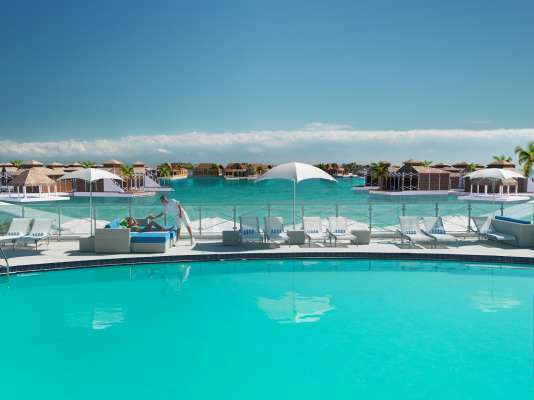 Plunge from your waterfront terrace to explore nature’s spectacular coral reefs and protected sea life underneath. Book a tee time for 18 holes on the world’s first floating golf course. Select each evening’s favourite restaurant for a family fine-dining experience. 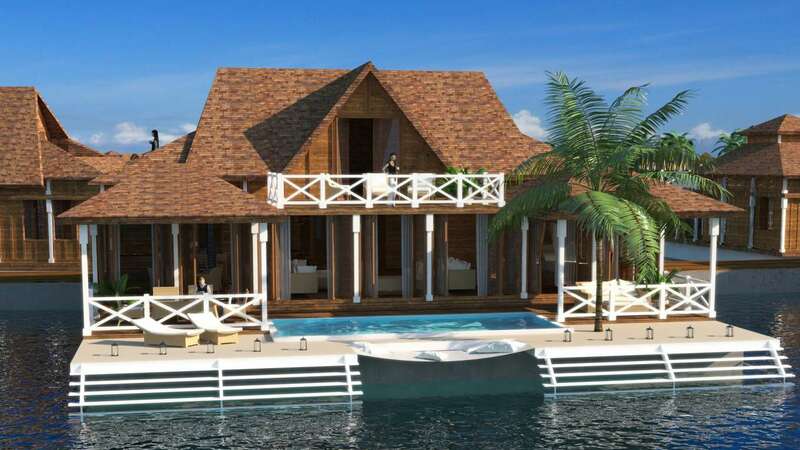 Enjoy the magnificent sunset from your private porch, knowing that paradise truly exists and assured that your investment is a profitable one. This innovative oceanfront development of 185 floating luxury villas, arranged in the shape of a Maldivian flower, offers you a unique lifestyle. 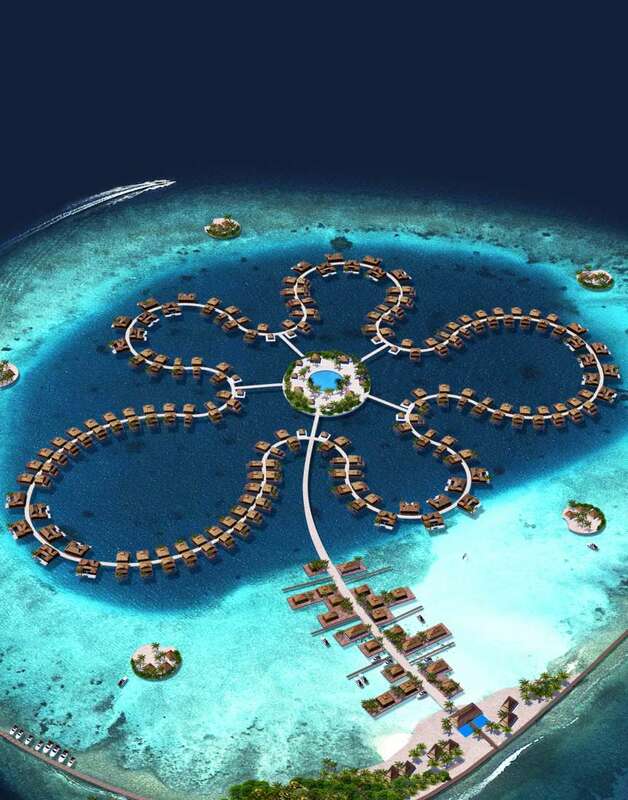 The Ocean Flower is located in a breath-taking lagoon with one of the world’s most spectacular natural coral reefs and within easy reach of the Maldives’ international airport in Malé. 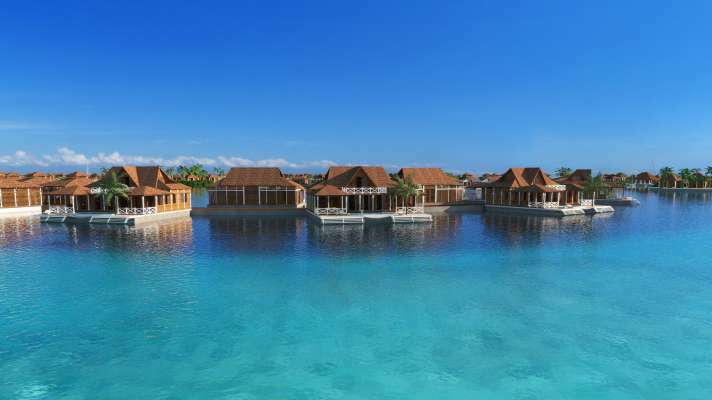 The traditional Maldivian styled villas come in three distinctive designs, all with private plunge pools. They are spacious, stylishly furnished, well equipped and fully serviced by a 5-star hotel operator, which offers you the opportunity to rent out your property when not in use for your own enjoyment. 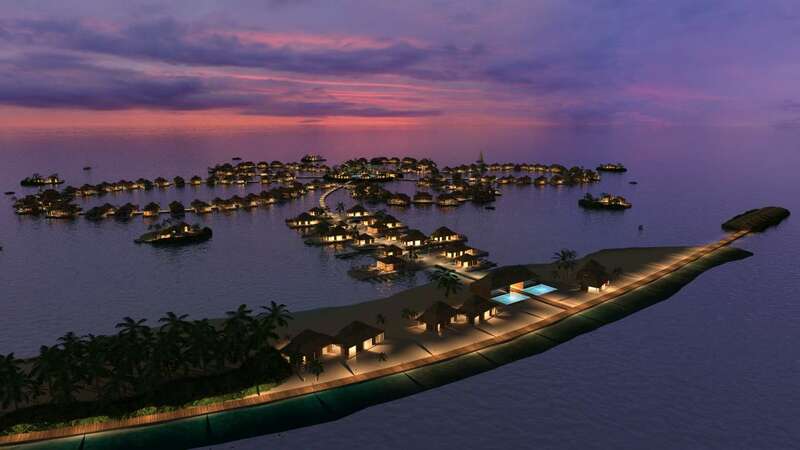 The Ocean Flower is part of “The 5 Lagoons” masterplan, developed by Dutch Docklands – the world’s leader in floating developments – in a joint venture with the Government of the Maldives. 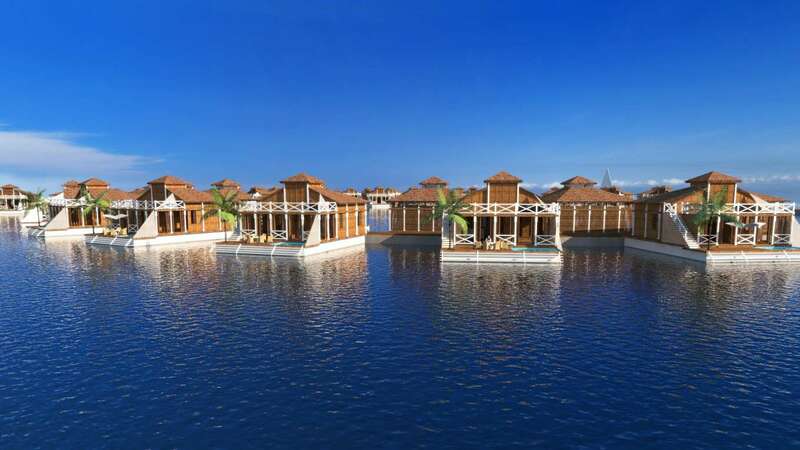 The cluster of 5 interconnected lagoons is home to high-end luxury developments, providing villa owners on The Ocean Flower unique access to entertainment and leisure activities, such as shopping, dining at hotels or a round of golf on the 18-hole floating golf course. “The 5 Lagoons” project received special global recognition as finalist at the prestigious MIPIM Awards 2013, representing the world’s most outstanding development projects. Only recently, and for the very first time, foreign private investors are allowed to enter Maldives’ real estate market. Through The Ocean Flower development you can own a piece of paradise with excellent investment opportunities. The Maldives is firmly established as one of the world’s most exclusive and beautiful destinations, with its highly protected natural marine environments and spectacular underwater life. The villas‘ upmarket location and the option to rent out through a top-class hotel operator provide an excellent opportunity to gain an outstanding return on investment. 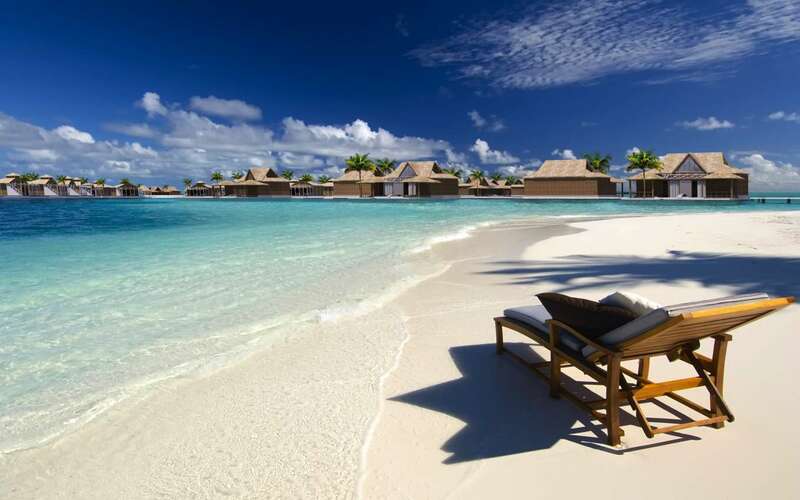 Both the occupancy and average room rates in this part of the Maldives are amongst the highest in the world. The first style of villa on offer is the Elite Maldivian. 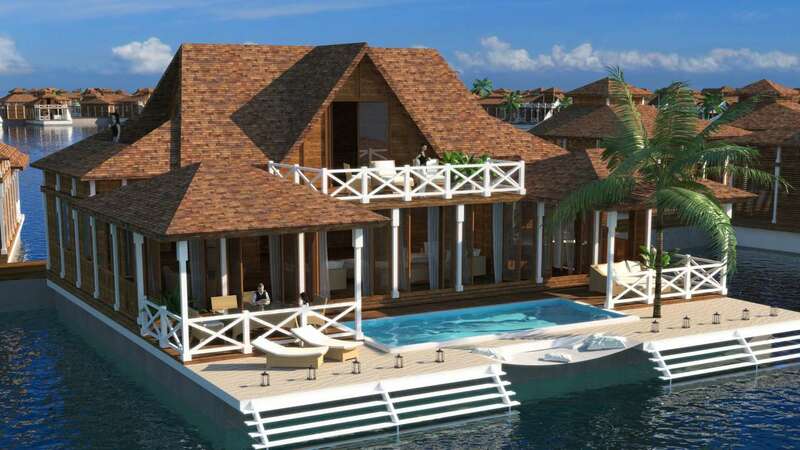 With plot sizes between 442 square meters and 1,264 square meters, these villas stand as the ideal ocean escape. At 163 square meters, the homes contain two bedrooms, each with its own bathroom. The second bedroom is located on the upper level and an exposed walkway leads from here to the expansive terrace. A spacious living room ensures plenty of space to entertain friends and family, while just meters away a plunge pool is the perfect place to cool off and relax. 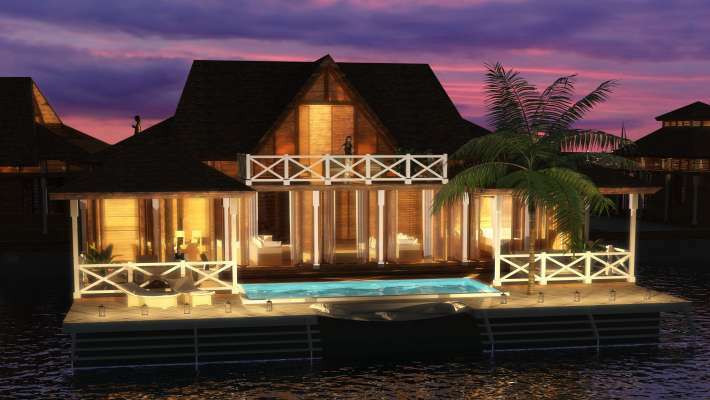 The Royal Maldivian is a stunning family home with an opulent ambience. Plot sizes range between 515 square meters and 2,224 square meters and a 197-square-meter villa features three bedrooms and three en suite bathrooms over two levels. The bathtub in the master bedroom is raised, giving views over the ocean, while the ground-floor terrace incorporates a swimming pool. The spacious rooftop terrace offers great views and has a unique rollaway bed built in, a place to doze in the afternoon or fall asleep under the stars. With plot sizes that range between 1,102 square meters and 5,204 square meters, The Imperial Maldivian is the largest style. 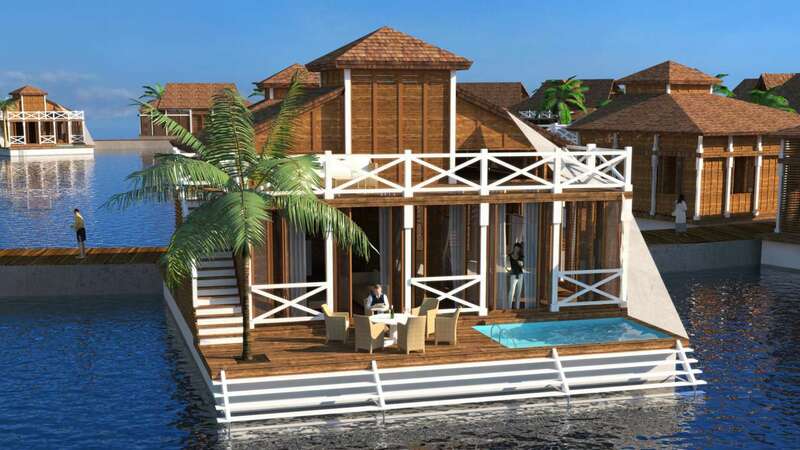 Imperial villas span three stories and contain four bedrooms and four bathrooms over 493 square meters. The Imperial stands over the water with perfect symmetry, vaulted ceilings, minimalist décor, crisp whites, and earthy tones and textures. The ground floor accommodates two bedrooms and a second master suite—all with en suites—and a living room, kitchen, and dining space. Upstairs, the first floor is entirely taken up by the main master suite as well as a terrace and sundeck. A specially designed master bed can easily be rolled out to the deck so residents can sleep under the Maldivian sky. Ocean views can be enjoyed from every part of the house and the ground-floor terrace is flanked by a swimming pool and gazebos. The lower level incorporates a gym and private cinema, while elegant furnishings ensure Imperial is the ultimate choice for the sophisticated buyer. 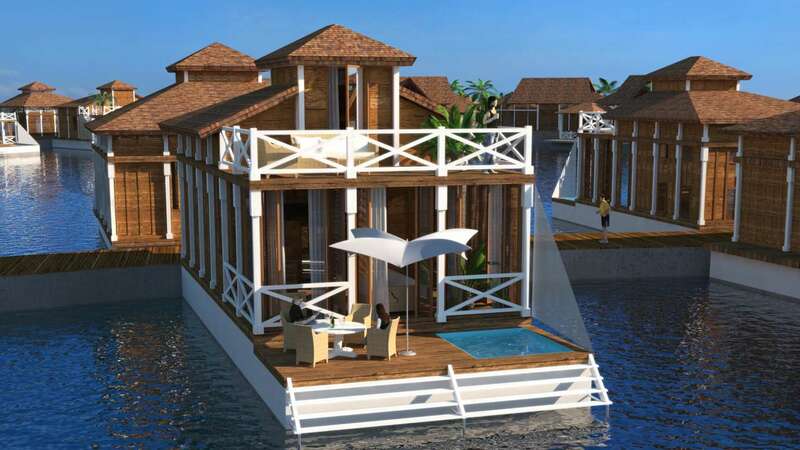 For more information on the Ocean Flower residences or to learn more about the 5 Lagoons project, inquire now.